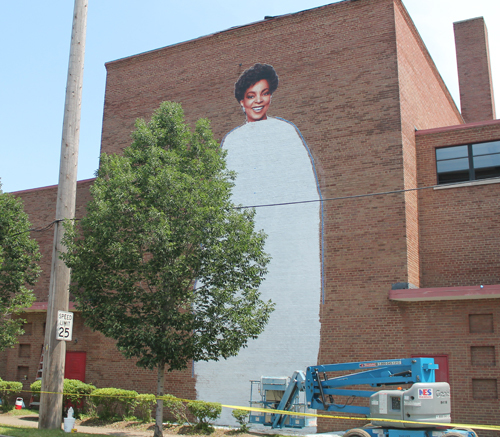 Sankofa Fine Art Plus has commissioned nationally renowned muralist Kent Twitchell to work with select local artists and community members to honor one of Karamu House's most successful alumnus, Ruby Dee. 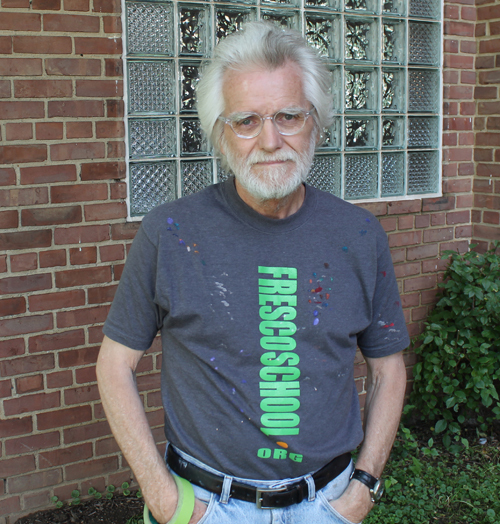 Sankofa Fine Art Plus is a nonprofit community arts organization founded in 1999 by a group of art enthusiasts who shared a passion for African-American and ethnic art and artists. 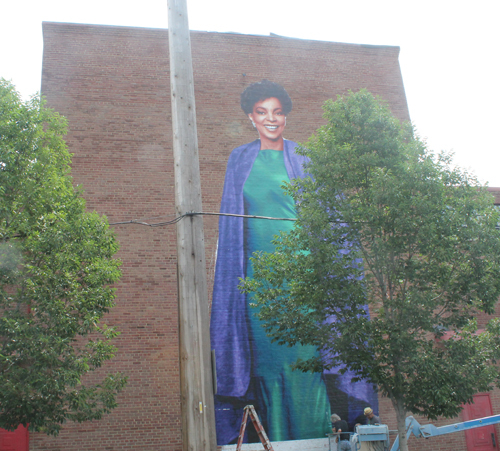 As part of Sankofa's mural project titled "Artovation", the legendary stage and screen actress will be immortalized on the west-facing wall of the historic African-American playhouse in Cleveland's Fairfax neighborhood. 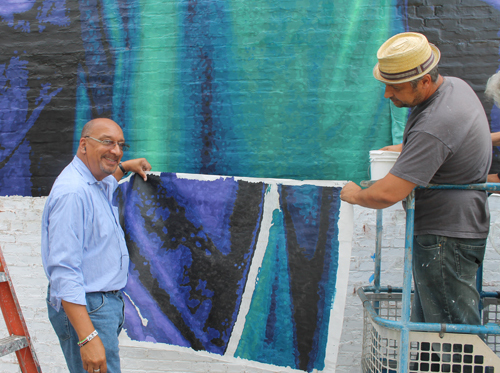 Karamu is a Swahili word meaning "Place of enjoyment in the Center of the Community"
Twitchell will lead the artist apprentices in the creation and installation of the 40-by-36-foot mural of Ruby Dee from July 8 to 21, 2013 on the outside of the theater, 2355 E. 89th St. 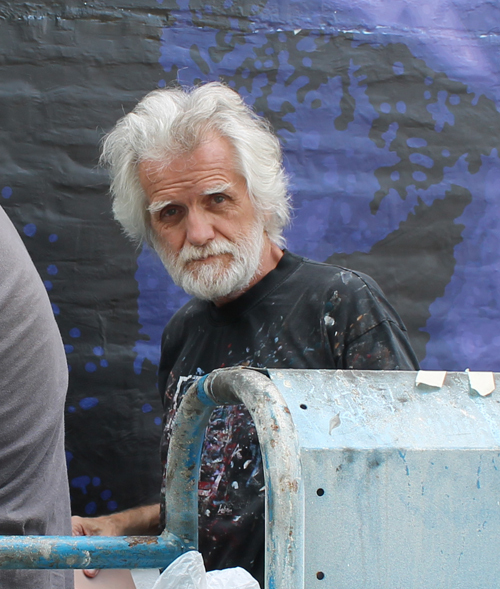 The apprentices will learn Twitchell's unique Grid System mural-painting method. He has used the method to create life like monuments to such American cultural heroes as Michael Jackson, Julius 'Dr. J' Erving and the late screen legend, Steve McQueen. 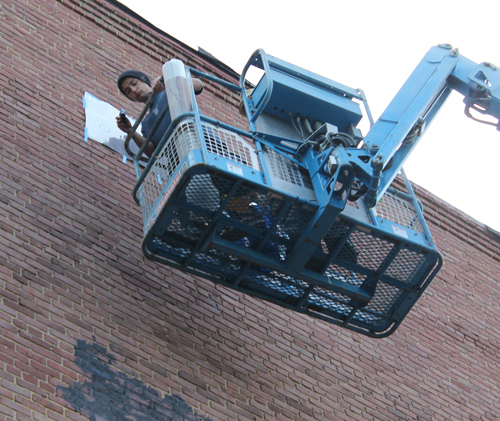 Non-artists from the community are also invited to participate in painting smaller portions of the mural. 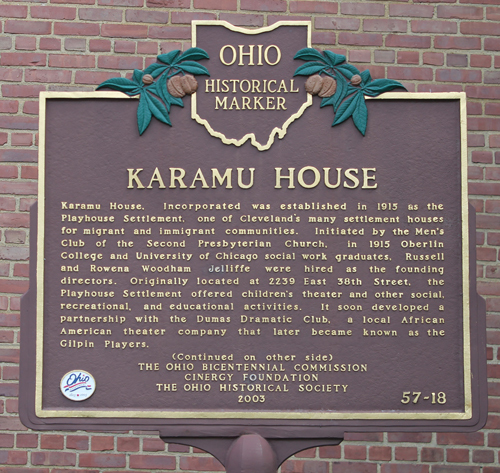 In this first video, Gary Williams, a board member of Sankofa Fine Art Plus, explained that as part of Sankofa's mural project titled "Artovation", the legendary stage and screen actress Ruby Dee will be immortalized on the west-facing wall of the Karamu House, the historic African-American playhouse in Cleveland's Fairfax neighborhood. The Artovation project is supported by Presenting Sponsor J. P. Morgan Chase, as well as The George Gund Foundation, Fifth Third Bank, PNC Bank, Deaconess Community Foundation, Charter One Bank, United Black Fund, Dominion Foundation, Parker Hannifin, The Cobalt Group, the Adcom Group Inc., Sherwin-Williams, the Ohio Arts Council and Excellence Management Group. 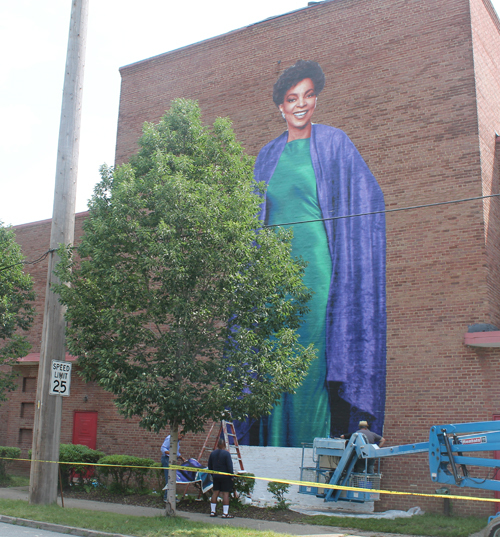 In this video nationally renowned muralist Kent Twitchell spoke about the 40-by-36-foot mural of Ruby Dee the legendary stage and screen actress on the west-facing wall of the Karamu House. 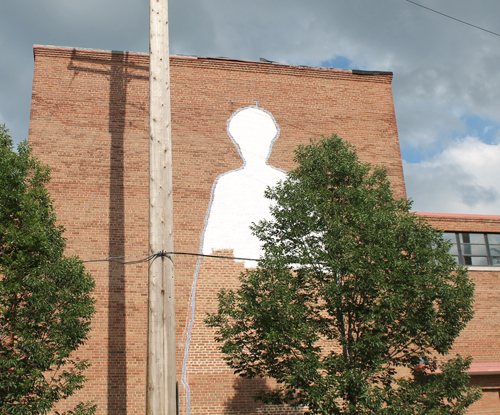 Twitchell said that he creates 'monuments to American cultural heroes". 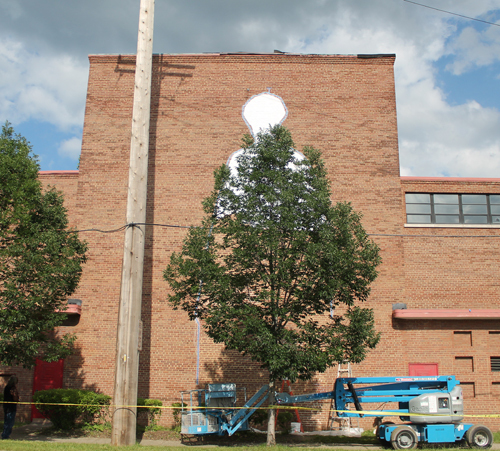 The mural is starting to take place. 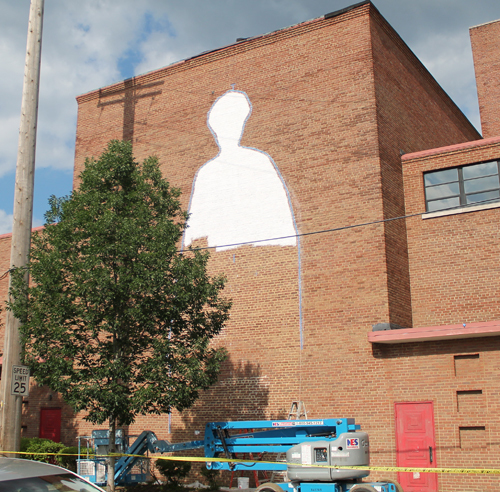 Muralist Kent Twitchell said they were dealing with a few issues with the brick surface but things are progressing. 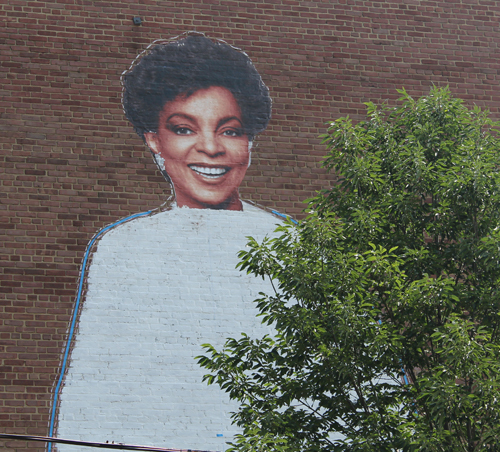 Ruby Dee has a face! Ruby Dee has a body! 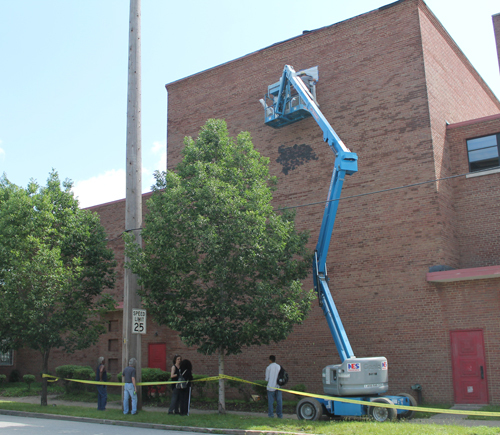 Come back soon for more progress on the Ruby Dee mural.